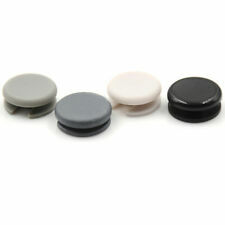 Analog Controller Circle Pad Joystick Stick Cap For 3DS / 3DS LL / 3DS XLplfapk! • Inbuilt DS/DSi (Action Replay) Cheat engine. • Multi language support. 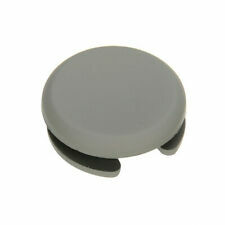 1 x Nintendo 3DS Joystick Cap. The colors may be a little difference for the different monitor display. Detail Image. USA, Canada, United Kingdom, Austrilia, France, Germany, Spain, Ireland, Italy, Others. 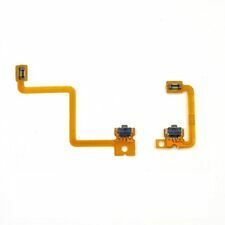 For Nintendo 3DS Repair Left Right Switch L/R Shoulder Button with Flex Cable. 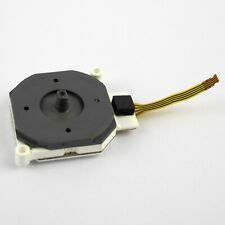 Joystick L/R Analog Rocker with Cap for Nintendo Switch Joy-con Repair Tools. For Nintendo 3DS. For Nintendo 3DS XL. For Nintendo 3DS LL. For Nintendo 3DS only,NOT FOR NEW 3DS. Joystick L/R Analog Rocker with Cap for Nintendo Switch Joy-con Repair Tools. 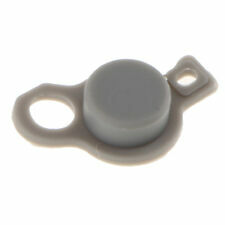 Left and right trigger button switch for nintendo. 1 Set x Nintendo 3DS Repair Left/Right Switch. Compatible For: Nintendo 3DS XL LL (NOT for Nintendo 3DS / NDSi-XL). The installation is not user friendly and requires disassembly of your Nintendo 3DS XL. Portable DIY Bank Power Solar Panel Circuit Board Shell Kits For 6066113 battery. 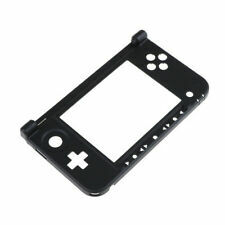 1 pcs 3DS XL / 3DS LL Top Screen Lens. Nintendo 3DS. Nintendo 3DS XL LL. Nintendo DSi XL. Clean out any dust and debris that may have collected beneath the screen. and Peel off the thin protective layer that covers it. For Nintendo new3DS. 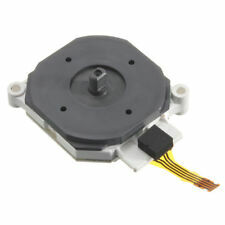 1 x Power Jack Port for new3DS new3DSXL/LL. for Nintendo new3DSXL/LL. Power Jack Port. Good quality. Nintendo 3Ds. 1 x Left Trigger Switch Flex Cable. 1 x Right Trigger Switch Flex Cable. The item shown in this picture is exactly you will received. This is our SOP, for us to be certain and for record purposes. Works the original Nintendo 3DS XL model. Will not work for the "NEW" Nintendo 3DS XL released in 2015. 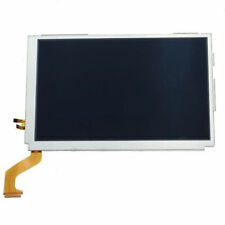 1 x Top Upper LCD Screen Display. - opens in a new window or tab. Key Features. We promise we will do our best to serve you. 1 Joystick Stick. For Nintendo 3DS. For Nintendo 3DS XL. For Nintendo 3DS LL. Weight: 3 grams. Good quality. 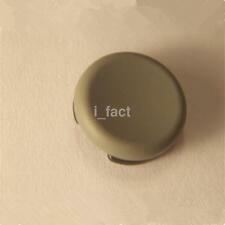 1Pcs x Joystick Cap. Product picture is for reference only. Professional installation skill is needed. We do not hold any responsibility for damaging of this item cause by your wrong installation or your wrong purchasing. 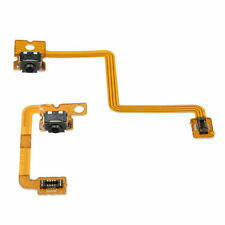 1 x LCD Speaker Ribbon Cable For 3DSXL/LL. Condition: Remove from old Nintendo 3DSXL/LL 100% working ! Nintendo 3DSXL/LL. ONLY FIT Nintendo 3DSXL/LL. Flex Cable Only, Speakers Not Included. Good quality. A Pair Replacement Part L R ZL ZR Key Flex Cable For Nintendo 3DS /XL/LL 2015 V.
Compatible For: New Nintendo 3DS, New Nintendo 3DS XL / LL. 1 Pair xL/R ZL/ZR Button Flex Cable ForNew Nintendo 3DS, New Nintendo 3DS XL / LL. Fix the L/R ZL/ZR Button Flex Cable. Product as described ! This item can use in New 3DS and New 3DS XL. 2015 New Version Nintendo 3DS XL LL R&L Trigger Buttons Flex Cable New 3DSXL Part. 1 x Left Trigger Switch Flex Cable. 1 x Right Trigger Switch Flex Cable. The installation is not user friendly and requires you to take apart your Nintendo 3DS. What you can get: 1x housing shell set for New Nintendo 3DS XL/New Nintendo 3DS LL (does not for other console). You will get what exactly shown in the pictures. FOR Nintendo 3DS model only. 1 x Bottom Lower LCD Screen for Nintendo 3DS. Device Type: Bottom Lower LCD. Excellent product! For Nintendo 3DS XL. The item shown in this picture is exactly you will received. This is our SOP, for us to be certain and for record purposes. 1x Case Battery Cover Bottom shell for Nintendo new3DSXL/LL. - Fits the new3DSXL/LL (regular size model) console body like the original covers. Replacing the covers is as easy as clipping on and or screwing the cover to the outside of the console, no technical disassembly is required. High Quality S2 steel screwdriverfor removing Nintendo screws (that are shaped like a ). Comfortable ergonomic handle. High quality S2 steel. Caution : Compatible with the Nintendo"New" 3DS / "New" 3DS XL Console ONLY, NOT 3DS / 3DS XL. Check what is New 3DS console at : https://www.techradar.com/reviews/gaming/games-consoles/new-nintendo-3ds-1281493/review . FOR Nintendo 3DS model only. 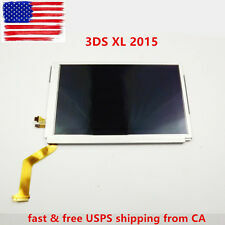 1 x Upper Top LCD Screen for Nintendo 3DS. Device Type: Upper Top LCD. Also includes new plastic screen lens to make your screen look scratch free. This can turn a boring old scratched up system into a work of art! For Nintendo New 3DS XL LL. 1Piece Top LCD Screen. For Nintendo 3Ds. for Nintendo 3Ds XL LL. 2 x 3DS Power Jack Port. Power Jack Port. Used, test working good. Good quality. 5X Full Housing Shell Case Cover Plate Parts for New Nintendo 3DS XL 3DSXL Blue Features: Replacement housing shell to replace and upgrade the original broken one. Brand new & high quality guaranteed. Easy to replace Packing include: 1 Set Replacement housing shell Brand Unbranded/Generic MPN Does Not Apply UPC Does not apply Model For New Nintendo 3DSXL Type Protective Shell/Skin To Fit Console, Games & Accessories. Digital Storage Bag Travel Gadgets Organizer Case For Hard Disk/USB/Data Cable. Compatible For: Nintendo 3DS XL LL (NOT for Nintendo 3DS / NDSi-XL). The installation is not user friendly and requires disassembly of your Nintendo 3DS XL.